"America's Trajectory Is Europe And You Can't Stop It!" "To me, what socialism means is to guarantee a basic level of dignity. It's asserting the value of saying that the America we want and the America that we are proud of is one in which all children can access a dignified education. It's one in which no person is too poor to have the medicines they need to live." "When we talk about the word 'socialism,' I think what it really means is just democratic participation in our economic dignity and our economic, social, and racial dignity. It is about direct representation and people actually having power and stake over their economic and social wellness, at the end of the day." Suddenly, a 29-year old, in-experienced, Hispanic, bartender-waitress, community organizer, nobody woman wins a U. S. Congressional seat in a largely Democrat district and out of nowhere she is elevated to superstar status by the Democrats and the mainstream media. (Sound familiar) Even CBS's 60-minutes gave her a segment on their show. Out of 149,000 votes cast, she won over 110,000 votes, or 78% of the total, which was hardly a surprise in urban New York City. She is a died-in-the-wool socialist and a doting protégé of 77-year old Socialist Vermont Senator, Bernie Sanders. She is hardly a superstar. Some of us old timers would say she is just an ignorant, inexperienced, wild-eyed kid, wet behind the ears and doesn't know anything. As her above quotes suggest, she talks in generalities, mostly without substance, not untypical of an accomplished politician. For instance, what is "dignified education", or "economic dignity?" We learned about emotionally appealing "glittering generalities" in journalism class in high school and their ability to sway public opinion, especially if delivered by a charismatic speaker. Cortez must have taken that class twice. If anyone was paying attention, they should know what she means by "direct representation." She means "mob" rule, or democratic socialism. You know, that is where the government owns all the property, determines economic, social and racial dignity, brainwashes our kids and re-distributes the wealth. In other words she means pure socialism and just like most of the leaders and bureaucrats in Europe, she is an avowed socialist, a nut case and a fruitcake. Her kind is responsible for the violent uprising by Parisians over high gas prices in response to alleged "climate change." The Parisians are saying enough is enough and only violence will convince the ruling class otherwise. That violence is coming to America, in spades. Thomas Jefferson was well aware of what happens to countries when their population becomes concentrated in big cities. He wrote prophetically over 200 years ago: "When we get piled upon one another in large cities, as in Europe, we shall become as corrupt as Europe." Most of the world remembers what happened when Germany morphed into Nazism? This socialist morphing that is occurring in Western Civilization is a direct result of power-hungry politicians using government coffers to buy off the ignorant masses for their votes, or to intimidate them with guns. Once the masses have been ensnared in the spider web of government promises, or military-style intimidation, government dependency and thus socialism closely follows ..... along with institutional slavery. As far as American socialism is concerned, that ship has sailed and the only way to stop it is to remove the fuel from its engines (money) ..... or torpedo its hull. The big cities now have the votes and the big cities by their very nature are dependent on government services. Dependency on government services can lead nowhere else but to socialism and mob rule. Once it starts and gets a foothold on the body politic, it progresses like falling dominoes. It is not IF America will go totally socialist, or join one-world government, only when. The powers forcing socialism and one-world government are more powerful than the forces supporting individual freedom and liberty. And that socialism-driven "power" owns the law, most of the money and the big guns. The reason is, freedom is hard and socialism is easy because someone else (government and special interests) is making decisions for you. All you have to do is to comply with their decisions and obey their commands. You don't have any rights except those rights government grants you. That makes you a virtual slave. Strangely, there are millions of Americans quite content to be slaves, just so long as there is enough government-supplied slop in the government-run pig troughs. But you can't buy off all the American people with this "pig trough" mentality. There are millions of Americans that still like to fill their own "trough" with the sweat of their own brow and the intellect of their own minds. They will not go quietly into the night with this false promise of a government-created socialist utopia. These freedom-loving upstart patriots own guns and they will eventually fight. So American socialism may have a short lifespan .... all the way up to REVOLUTION! History will once again be forced to repeat itself because people can't seem to handle self-government without becoming wards of government. Sadly, the masses are weak, self-absorbed, dumb and apathetic. Tragically, this quivering mass of ignorant humanity, get to vote. There is only one way to stop the onslaught of socialism, the plurality of socialist votes and the ruling class. Apparently there are no peaceful means anymore to accomplish this task. Nevertheless, freedom-loving Americans don't want to invoke the Declaration of Independence wherein it states: "That whenever any Form of Government becomes destructive of these ends, it is the Right of the People to alter or to abolish it, and to institute new Government, laying its foundation on such principles and organizing its powers in such form, as to them shall seem most likely to effect their Safety and Happiness." They want to convince government to return to the limits placed upon government by the Constitution and get government to stay true to its oath to preserve, protect and defend the Constitution. The question is, can it be done peacefully? It is without a doubt that government, aided and abetted by the plurality of the socialist vote and the ruling class, has become "destructive of these ends." But conservatives can't do one damn thing about it because they don't have the votes. Case in point! Consider a proposed new law in Oregon by Democrat Governor Kate Brown. Apparently, a bunch of socialist Oregon Democrats believe that parents don't have the necessary skills to raise their newborns any more and the state must step in and mandate in-home visits by licensed health care providers of every family with a newborn baby. These socialist Democrats have the audacity to call the "problem" a public emergency and under the "Public Health and Welfare" doctrine, new legislation is required immediately. It doesn't end in Oregon. The Democrat governor of Washington State, one Jay Inslee, (running for president) is also considering a similar proposal and has put it into his 2019-2021 budget. The rationale behind these twin proposals is that only the all-wise "state" has the knowledge, experience and capability of raising children and that parents are now irrelevant and must be controlled, monitored, coached and tutored on how to raise their own children. 120 years ago, this thinking and any legislation would have triggered a revolution in America. Today, it should trigger at the very least, massive civil disobedience, if not a revolution. The first response by most clear-thinking individuals is that these Oregon and Washington laws must be a joke. No government would do this to a free people, would they? But these kinds of totally unconstitutional legislation are being proposed and passed in record numbers across America, at the federal and state levels, by mostly Democrats. This is socialism on steroids and that is why America's trajectory is Europe and there isn't one thing you can do about it. As we wrote in a recent article on property rights, "the masses are mostly ignorant of their rights and short on courage, so they just capitulate to government overreach until they become slaves!" BUT THEN AMERICANS ARE ALREADY SLAVES! They are just too dumb to know it. So we ask you? Would you or will you let a licensed government health care provider into your own home, without a 4th Amendment warrant signed by a judge stating probable cause, to inspect your newborn baby to see if the baby is OK and your parenting skills are up to snuff? If you would, you are not a free American, only a slave residing in America. If you wouldn't, then you had better prepare yourself for a bloody fight, because government isn't going to back down and they have the money (your money), the weapons of war and the law to back them up. Democrats are coming after your children, your guns and your freedom! If you let this stand, you are aiding and abetting your own demise. In defense of these unconstitutional laws, every American household should be equipped with our powerful "Revocation of Implied License" and "Right to Exclude" No Trespass sign to keep state-mandated healthcare providers and other government agents from trespassing on your property, whether you live in the city, or in the sticks. The language on the sign is very effective and fully supported by precedent and statute law. 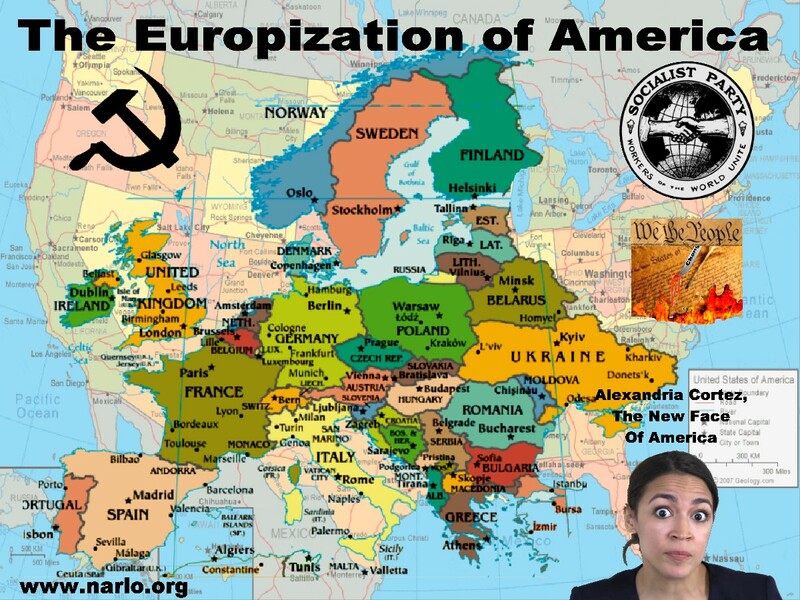 Ladies and gentlemen, if there is no intervention by the people to stop the socialists, there will be no stopping America from becoming a mirror image of Europe ..... or maybe even worse. A war is brewing and we can smell the gunpowder.